Prior to joining UPS, Maria served as U.S. Custom and Border Protection’s (CBP) Senior Advisor to the Commissioner for Trade and Private Sector Engagement and Director for the Office of Trade Relations. 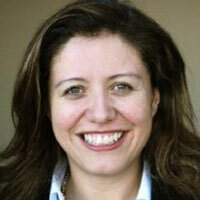 Maria assumed this role, after serving as the Assistant Commissioner for CBP’s Office of Public Affairs. At CBP, Maria advised the Commissioner and senior leadership of the impact of the agency’s policies and regulations on the private sector. She was also responsible for the trade outreach strategy for the agency, assisting to increase compliance rate and improve communications with the private sector, to include international outreach. She managed the Advisory Committee of Commercial Operations of Customs and Border Protection (COAC) and the User Fee Advisory Committee leading the interaction between COAC and CBP’s Senior Staff. She also led the efforts at the Border Interagency Executive Council, on Imports for the External Engagement Committee, comprised of over 30 agencies, for the implementation of the U.S. Single Window. Maria was also the Small Business Ombudsman for CBP and as such served as the Regulatory Fairness Representative for the agency responsible for performing as the liaison between the international trading community and senior CBP managers. A native of Bogotá, Colombia, Maria is fluent in Spanish and is conversational in French. She grew up living in five different countries in Latin America (Honduras, Costa Rica, Nicaragua, Ecuador, Panama and Colombia). She received her bachelor’s degree in finance and international relations from the Universidad Externado de Colombia. She also received a certificate from the Harvard Kennedy School of Government for completing the Strategic Management for Regulatory and Enforcement Agencies Executive Course.